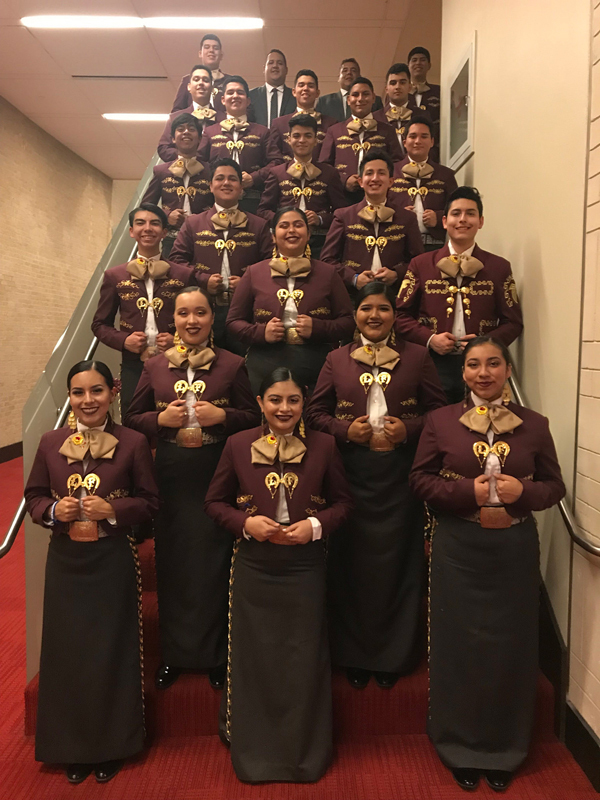 Los Fresnos High School mariachi singer Eduardo Martinez took the Top Vocalist category award in the High School division of the 24th Annual Mariachi Vargas Extravaganza at the Lila Cockrell Theater in San Antonio Nov. 17. Forty-three mariachi vocalists from 22 cities and 32 schools from across the country belted it out on stage for a chance to open up for the World’s Best Mariachi: Mariachi Vargas de Tecalitlán. A first, second and third place vocalist are chosen in four categories: Elementary School, Middle School, High School and College/University. Mariachi Nuevo Halcón was named as one of six finalists from a field of 15 high school mariachi groups from around the country. Five were from the Rio Grande Valley, Edcouch-Elsa Mariachi Juvenil Azteca received the top honor and Roma Nuevo Santander was second. Mariachi Nuevo Halcón won the Class 6A state championship at the Texas Association of Mariachi Educators (TAME) competition in February.